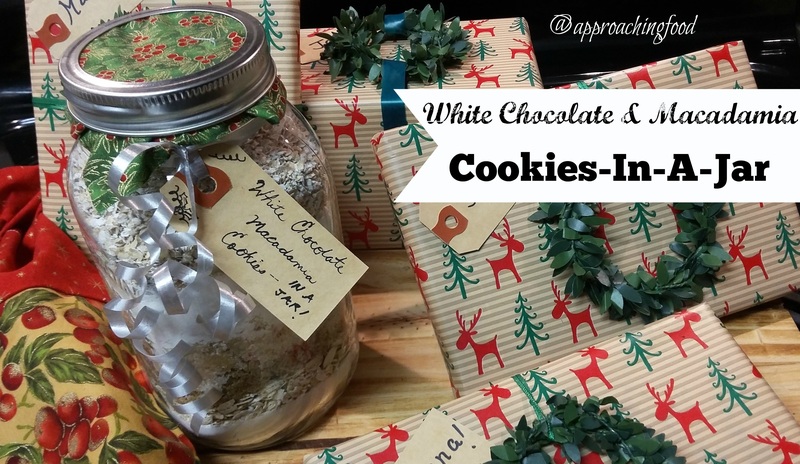 Gifts from the kitchen…may include cookies-in-a-jar mix! Hello, dear readers! The holidays are upon us and I’m still in the thick of holiday preparations, lots of which involve gifts from my kitchen. I’ve made Chocolate Walnut Fudge and White Chocolate Candy Cane Bark, but there are still lots of easy (and delicious!) gifts that can be whipped up by you and by me. I’ve previously written about last minute gifts that you can give from your kitchen (and even from your microwave), but here are five more! Marshmallow Snowman Pops – In case you missed it, I made these tasty snowman pops out of marshmallows, white chocolate, and a few trimmings. You can too! Easy Pickled Vegetables – Want to give something that’s not pure sugar? What about these easy pickled vegetables? Bonus, they’ll also use up whatever veggies you have in your fridge or pantry! Chocolate-Covered Honeycomb Candy – Like the candy bar, but homemade so no preservatives! Also makes a nice large batch so that you can make several gifts at once! Or eat some yourself. Either or. Wine BonBons – Because sometimes you just want to sit and eat bonbons by the light of the Christmas tree. Christmas Peppermint Patties – These delicious treats are easy, tasty, and can be made using whatever cookie cutters you have on hand. Great for party platters, after dinner treats, or just to package up in cellophane and gift to lucky recipients! Do you have any gifts that you still need to get? If yes, I strongly suggest making some of the above delicious things! Who doesn’t love a food gift, made with love, and fresh from the kitchen? Mix the vanilla extract with the white sugar. Using a funnel, drop the ingredients in the layers as mentioned above. Write out the following instructions, and attach to the jar, so the recipient knows how to make up these yummy cookies! When you’re ready to make the cookies, beat 1/2 c. softened butter with an egg. Stir in the entire jar of cookie mix. Bake in a 350 degree oven on a greased baking sheet for 8 minutes if you like softer cookies and 10 minutes if you like crunchier cookies. And, enjoy! This recipe is easily customizable! Replace white chocolate with dark chocolate; switch out the macadamia nuts for walnuts; add in raisins or other dried fruit; and so on and so forth. Make it your own! By the way, if you don’t have fine-milled oats, just regular ones will do, or you can briefly (v. briefly) blend the large-flake ones in a blender. If you make this recipe, let me know in the comments if you subbed out any ingredients! Next Post: Probably the Cappuccino Cupcakes I mentioned previously. Mmm…cappuccino goodness! Just the thing to keep my awake to wrap all of my presents! This entry was posted in Cookies, Desserts Not Otherwise Categorized on December 24, 2017 by Margaret. Yummy! Perhaps one of those delicious gifts are for me? Erm…ahem…no. But you’re welcome to come over when we bake up the cookies and help the DH and I eat them!